Another freshman show has gotten the ax. 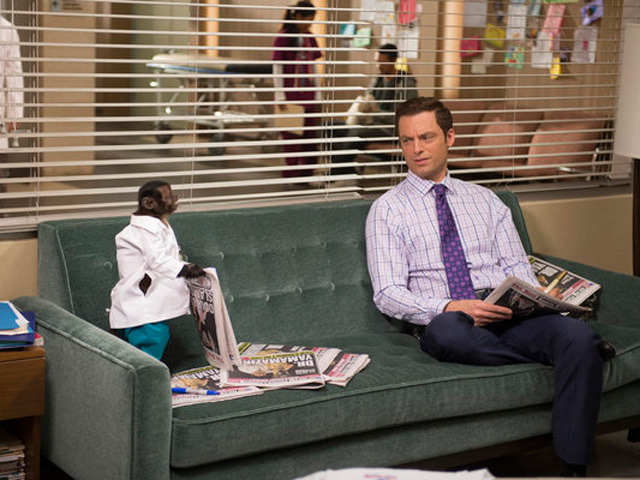 NBC is pulling "Animal Practice" off its Wednesday night schedule, according to Entertainment Weekly. The veterinary-hospital comedy is being replaced by "Whitney," which will begin its second season on Nov. 14. "Animal Practice" will remain on the air until then, EW reports. "Whitney" was originally scheduled to air on Fridays, but NBC decided to postpone its Oct. 19 premiere (as well as the return of "Community") last week. There's no word yet on when "Community" will return. "Animal Practice" is the second cancellation of a new fall shows this year. The first was "Made in Jersey," which CBS pulled from its Friday night lineup. Tell us: Will you miss "Animal Practice"?